Our team is firmly established as an industry leader in Aotearoa. Crew are highly skilled, knowledgeable and close knit, providing exceptional customer service to your project. Collectively they have worked on numerous large-scale feature films, short films, television series, music videos, and commercials throughout New Zealand and the world. Our extensive industry experience will assist your production to run smoothly. Give us a call - We love to help. Thad Lawrence is known for his work as Gaffer on The Luminaries (2019), Meg (2018), the award winning The Light Between Oceans (2016), the Emmy Award-winning Top of the Lake (2013), Vertical Limit (2000), the local movie The Dark Horse (2014) and The Shannara Chronicles (2015). Born in Sydney, Lawrence moved to New Zealand but continues to work in Australia frequently. Gilly Lawrence is best known for his work as Gaffer on international productions such as The Wilds (2019), The Shannara Chronicles (2016) and many Netflix series. Added to his credits are the Award-winning Aotearoa movies Boy (2013),and White Lies (2013). Recent TV Series include the top rating Aussie release 800 Words (2015). A dab hand at grip-lighting work when the need arises. Henare Mato is best known for his work on Lord of the Rings (2001-2003) and Avatar (2009). Gaffer credits include the TV series The Ring Inz (2017), This is Piki, (2016) Almighty Johnsons (2011) and Nothing Trivial (2011). Henare has years of experience in lighting, grip and rigging including The Shannara Chronicles (2016), Bridge to Teribithia (2007). 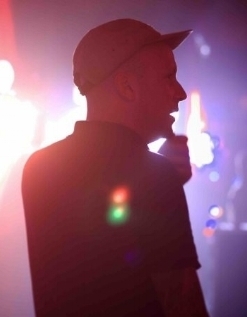 Greg Nalder is best known for his Lighting work on the Lord of the Rings trilogy (2001 - 2003). Recently his work as a Gaffer has included numerous commercials, Ice (2011) and The Shannara Chronicles (2016). Ruru Reedy's recent work includes Gaffer on Ash vs Evil Dead and Australian Rigging Gaffer on The Light Between Oceans. He is best known for his work on Don't be Afraid of the Dark (2010), and Rogue (2007). Tony has worked on numerous international and local features and commercials. His most recent work as Gaffer includes Ash vs Evil Dead (2016) and Queen of Carthage (2015). You will find him Gaffering and as Best Boy on our large scale productions. Sam Jellie is best known for his work as gaffer on Pork Pie (2017), Ash vs Evil Dead (2017), and The Meg (2018). Merlin has 20 years of experience on large and small scale productions. He leads international co-production projects, gaffer/grips local television and drama, and Best Boys on large scale productions. Tom has considerable experience as a Key Grip and as a Gaffer. and many more - just a phone call away.